We’ll be swapping out the Cabs as the days go by to keep this case in stock as long as possible, but it will not last long! Now that Rosé is officially in bloom, it's time to fill up on a mouthwatering pack of pink. Rustle up the ice buckets – and prepare to be refreshed! Gather up all 6 for a crisp $63.99 – springtime, sorted. Don't forget dessert! These 6 sweet treats are guaranteed to please. Go ahead and spoil your dinner with this perfect little pack of sweet delights. We've added goodies like your favorite Moscato and scrumptious rosé from Stephen, plus luxurious Marsanne from Yian. You're saving $40 on a 6-pack that's guaranteed to crinkle up your lips and rosy your cheeks. Give yourself some sugar! Treat yourself to this pack of 90+ rated reds - yours for a $143 savings! Featuring melt-in-your-mouth treats like Matt’s lusciously-layered Napa Cab, soft and silky Willamette Pinot... and Ken & Derek’s "Crowdpleazin" Zin. 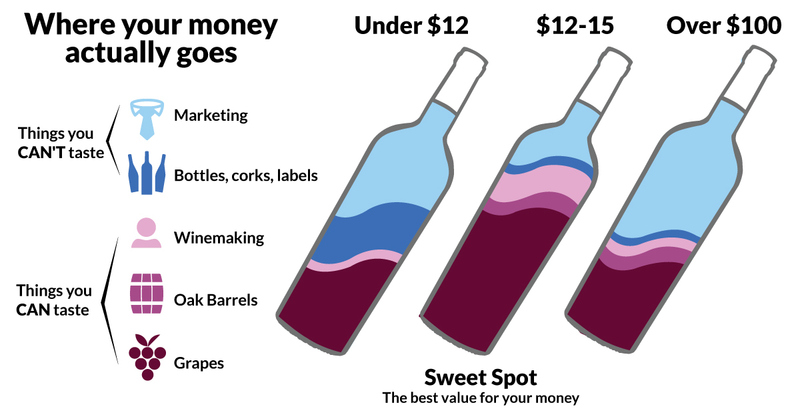 With wholesale prices like these, you can afford to drink 90% rated day wine every day - did you see that whopping $143 savings? Decisions, decisions... which blockbuster wine to open first?! These return favorites, record-breakers, new releases, top-shelf treasures have one thing in common – they're knocking Angels' socks off. Now's your chance to take home Matt's rich Cab, Jen's coveted Australian Shiraz, a decadent red blend from France, and SO much more! And no drop would be possible without you – that's why you're getting this scrumptious case for $101 off the list price. Whether it be for slurping in the garden, enjoying with friends, or adding the finishing touch to a festive meal, this pack has your Pinot covered. These are all the elegant reds you could ask for... in fact, you DID ask for them! So many Angels are on the hunt for good Pinot Noir these days, we curated a pack of your best – 90% rated wines from Sta. Rita, Willamette and beyond – for easy pickins. ...and they're all Angel exclusive – so these dazzling reds are perfect for showing off to friends. Who else can say they helped MAKE the wine that's on their dinner table?! From Sharon's elegant Paso blend to Stephens's smooth, barrel-aged beauty, these bold reds are guaranteed to turn any quiet evening into a flavor-packed party. This pack comes with an especially BIG savings – because you made these power players possible! These are all the elegant reds you could ask for... in fact, you DID ask for them! So many Angels are on the hunt for good Pinot Noir these days, we curated a pack of your best – like 90% rated wines from Willamette and the South of France – for easy pickins.